Devoted to helping women everywhere. Paris, bien sur! I am inspired by French women and living an artful life. I love to travel and talk with everyone, and learn new things. I especially love dancing, music and of course, writing. Listening. I care deeply about the people I meet and I am always trying to be a better listener. I learn so much that way! Taking the time to rest, relax and rejuvenate. I think this is why I am so inspired by the French Women’s idea of The Secret Garden—a place where you escape the hectic world and simply be. I love this concept! 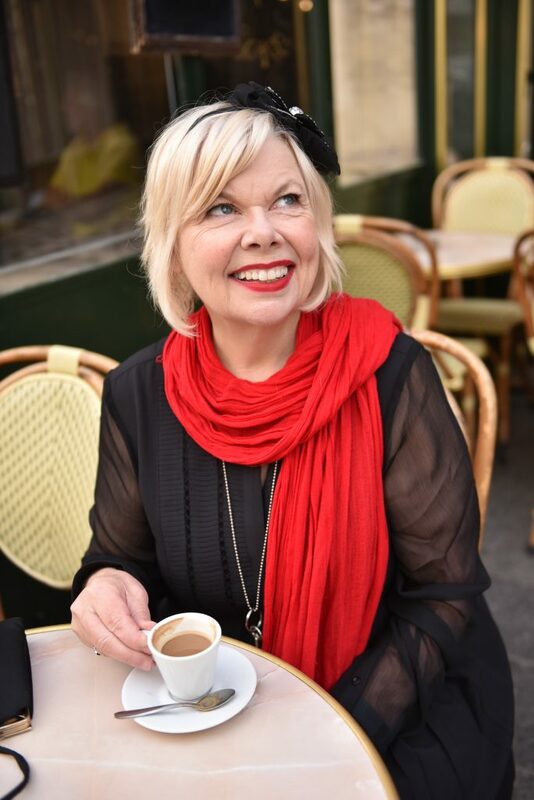 The most thrilling highlight of my career is the publication of my latest book, ”Parisian Charm School: French Secrets for Cultivating Love, Joy and That Certain je ne sais quoi.” My new publishing home is Penguin Random House and I’m so excited and so honoured! I know this book is going to resonate with a lot of women—and quite a few men. We are living in such uncharming times, I do believe with all my heart that we could all use a little more charm. My mother’s life was so dramatic, truly epic and as a little girl, I wanted to record her story. I feel that all the books I’ve written (”French Women Don’t Sleep Alone”, ”Bonjour, Happiness!”, ”Ooh La La!” and now ”Parisian Charm School” are all inspired by my mother’s tumultuous life. My grandmother was French-American, and I grew up under her tutelage. She was so very French and elegant and I learned so much from her. The French have never forgotten their history. They live discreetly and believe in the joys of simple, ordinary, everyday pleasures. They walk everywhere and take their time with meals. They spend time with their family and friends and their community. How can women adopt the French way of living? Simply, slow down. Embrace the moment. Breathe. Buy less, not more. Repair, rather than replace. In our forties, we take the first step to enter into the role of mentor. It’s a time to begin thinking about legacy and how we can help the next generation. My husband and I live on a little farm in Upstate New York. Our meals are planned around the garden and what nature has to offer us in any given season. I would suggest going to the farmer’s market during the weekend and then planning the week’s meals according to what you find at the market and what’s in season. For the French, food is love and so yes, the French rank pleasure very highly when it comes to food. This love and appreciation for good, fresh food is also the secret to how they keep slim. When a meal is very fresh, bought at the market that very day, carefully and lovingly prepared, and served on your grandmother’s china—well, then you simply can’t gobble it down. You slow down and appreciate the bounty of nature. What is the secret of French Women’s beauty? Less is more, even when it comes to beauty. And so, the French will often embrace Le No-Make-up Look. They go for a natural beauty that doesn’t hide their individuality. They never try to look like someone else, but rather, their own unique self. That’s the secret! I love my husband’s cooking! He’s a great cook and so anything he makes from our garden is always delicious. That said, I adore his coq au vin! That’s an easy question. I love to dance and I exercise by taking lots of dance lessons. It’s also very French. I’m so thrilled to be collaborating with Penguin Random House on Parisian Charm School. I am writing a novel about three American women who go to Paris. My father always said, have fun! And while it may sound very simple, it’s always guided me in terms of what I should be doing and where I should be going in my life. Before I enter into a new project, I ask myself, is this going to be fun? If I get that open-hearted, pulse-quickening, blissful feeling—I know it will be fun and I know enough to say yes! My red plaid skirt. I met my husband wearing that skirt and I still wear it today! I am searching for a pair of black patent leather boots with a chunky heel. I saw a pair in a shop last year in Toulouse, but I didn’t buy them, and now I’m obsessed! Diane Von Furstenberg. I adore her fashion style, as well as her style as a businesswoman and a philanthropist and as an inspiring femme d’un certain age!